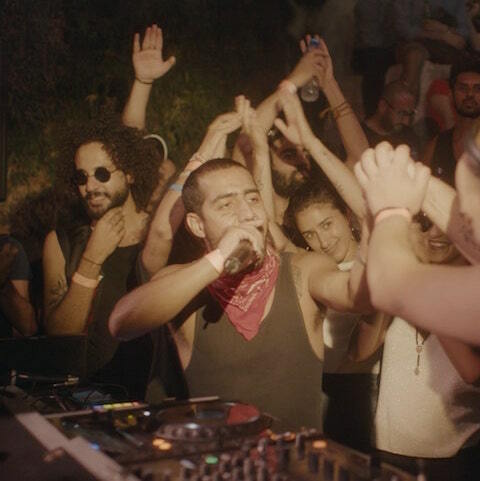 Palestinian DJ/producer SAMA' is widely considered for bringing techno to the West Bank, pioneering a new brand of the genre to the Palestine. Sama Abdulhadi aka SAMA’ (previously Skywalker) is a young Palestinian DJ/producer with an impressive resume. 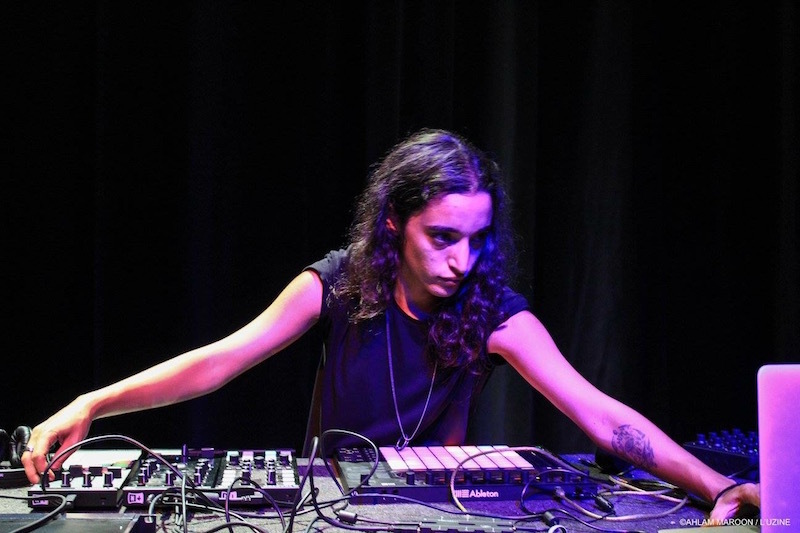 First things first, she is credited by many for bringing techno to the West Bank – not a feat to be overlooked. 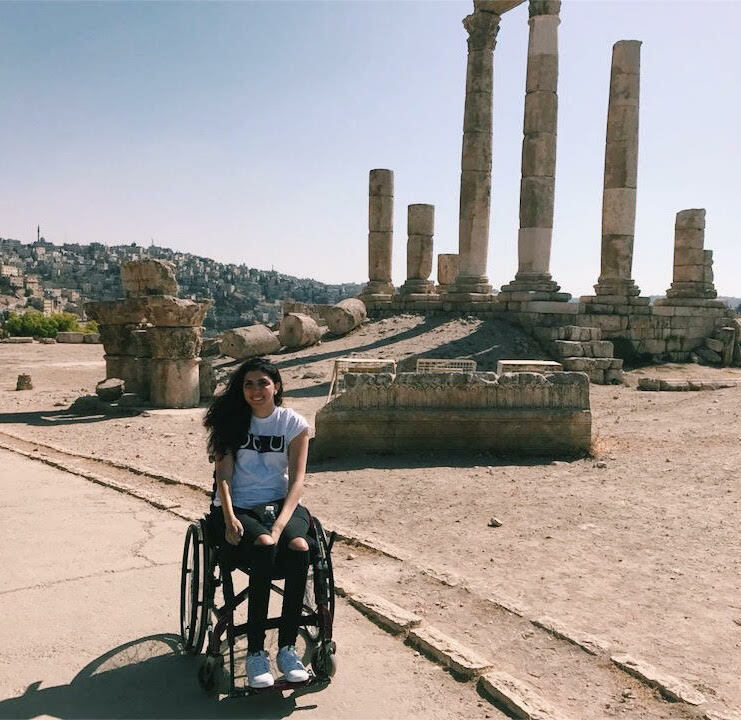 She came up young and rowdy in the Ramallah hip hop scene, rapping and even breakdancing in the early 2000s, also developing a fascination with scratching. Later, Sama was unknowingly confronted with her calling as a DJ after her brother brought back Tiësto and IIO CDs from Jordan. This path was solidified when she witnessed professional techno DJs in Beirut. 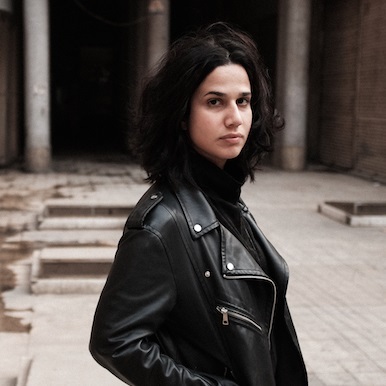 In 2006, Sama started DJing parties in Ramallah, and by 2010, was producing her own electronic, techno and house, and until today she remains the only one playing this brand of techno in Palestine. But she doesn’t stop at lighting up stages everywhere between the West Bank to Paris: during the day she is a bona fide audio engineer, with a Bachelor of Science in Audio Engineering and Music Production from S.A.E. London. Her professional audio engineer career began when she moved to Cairo, where she worked as a music producer, audio trainer, and sound designer. She cut her teeth working on Egyptian films such as The Builders and Thread and Wall. Aside from her professional life, Sama got deep in the underground Cairo music scene. The nuances of Sama’s career do not end there. In 2016, she partnered up with Cairo based Arabic music incubator, Eka3, to start her own publishing agency called Awyav, which represents Arab independent artists such as Abdullah Miniawy and Maryam Saleh. 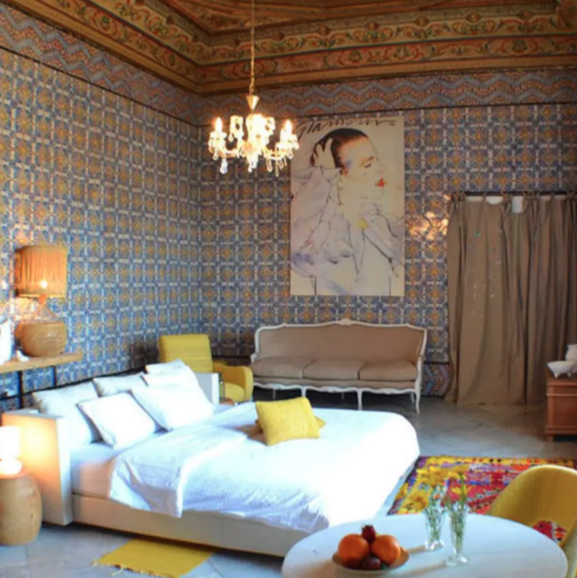 Last year, she was selected as a Laureat by the French Institute, and so she headed to Paris for a six-month residency at the International Cité des Arts in Paris. Sama has released two albums, Life’s Pace, and Quantum Morphosis, under her previous moniker Skywalker, and has both an upcoming EP and album that should be surfacing soon. 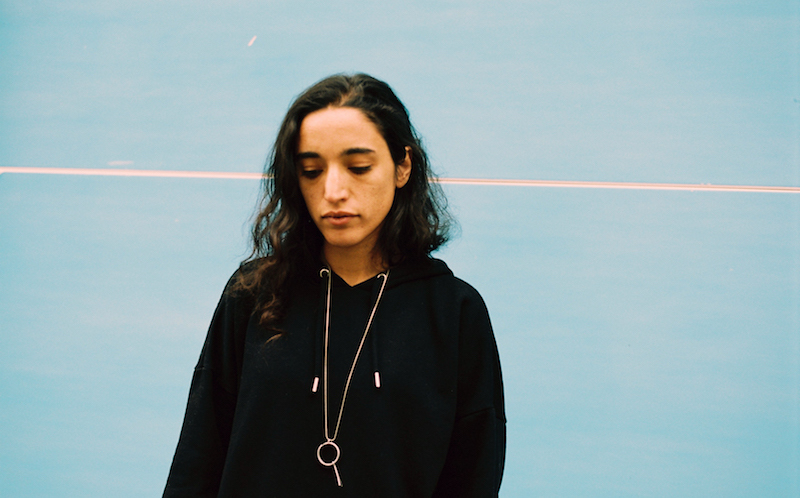 Sama was kind enough to enlighten us about how she got into DJing, her experience in Cairo, and the inherently militant nature of her mere existence. We are a small country with not many people and the cities are cut from each other. We cannot get that many tourists from outside, and honestly, who would go partying in Palestine? We are under war or siege most of the time, so how could it really boom? You are credited with bringing techno to Palestine. Is that true? Kind of, not sure, but yea, in a way haha. To the West Bank side of Palestine, more of Ramallah. Could you tell us how you first got into DJing and producing? I was a child when DJing caught my eye. I don’t really remember but I think I saw someone scratch...I remember is that all I wanted to do is know how to scratch. I still don’t know how to do it, maybe I should take the time to learn. 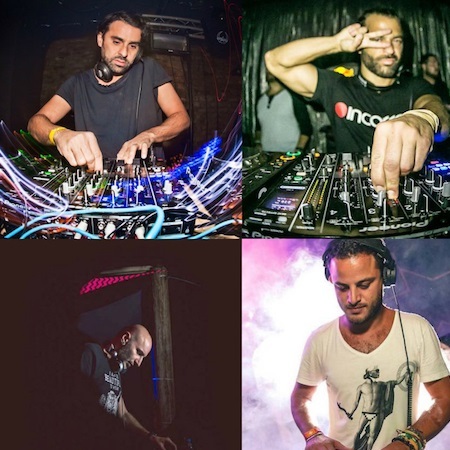 When I saw the DJs in Beirut properly play techno, it just all started making sense. When I moved to Jordan my teacher in university helped me achieve that, and then my best friend got me into producing music, teaching me tactics of production and giving me homework. I studied audio engineering and music production; a lot of what I learned intrigued me and I went more into it, and what I didn’t like and I put on the side. How would you say your sound is unique? How does it set you apart? I don’t usually say that it is unique. I say I have my own style of mixing and production since I am me and I will always hear and implement things in my own way. There are no real rules to production or DJing, there are of course the basics, but you can choose to stick to the rules or you can break them. I just try to let out what is in my head and I don’t try to do it like someone else does. I learn from other peoples’ techniques and work of course. I always remake tracks, but I don’t try to be like a certain one, I just want to be me. Are you the rebel of the family? Hahahahaha kind of on spot. I think that we are all rebels, my brother, sister, cousins and even my parents, aunts and uncles are all rebels in their own way. Where is your favorite place to play, and to party? That is so hard to say, I guess play it would still be Palestine. When I play there I am home, I am comfortable, I can do whatever I want and it's just my place, you know? To party the list goes on but I think Beirut is still one of my top places, maybe it is because of all the memories. For clubs I can’t decide, there is a special place in every city. You lived in Egypt and did sound design for some Egyptian films like The Builders and Thread and Wall. What was your experience living and working in Egypt? Living was in between funny and depressing. It’s a crazy place over there, and your experience depends on the scene and the time you go. I went into the alternative scene, which is very messy but rewarding. For working…it’s one of the biggest industries in the world and the second oldest after Bollywood. So as you can imagine, it was very enriching...and busy, haha. I love working in Egypt, it's my kind of pace - there is something happening all the time, every second of everyday. Sleeping is an option and not a must, you know? Did being in Egypt have an effect on your musical taste or open you to new textures, styles, or ways of thinking about music? Of course it did. I used to dislike Arabic music before going to Cairo, but in my defense, I thought everyone was Tamer Hosny. When I got there and got into this alternative music scene, I got introduced to so many new genres and styles and it got me really interested in Arabic music as a whole and its theory. I think in my new album you would notice the Egypt effect. So when you say theory, I am guessing you have delved into maqam theory? Is this something you would consider working into your music? I have, but maqam theory is like learning Chinese. I might add here that I am also working on a project nowadays with a group of Arab artists that has nothing to do with techno music. What were your thoughts on the music scene in Cairo? Would you come back to play here? Play? I’m not sure, they are not so keen on techno. I might play - I don’t mind, don’t really think about it much, but I will definitely come back to Cairo. A lot of the work I do is still there and I still work on films. I am just taking a break now from film directors because they drove me crazy, but I am coming back soon for new films. I can’t stay away, I love those crazy directors. Yaaaaaay haha you gotta see me in shaabi - I am all over the place. I love listening to it, I honestly listen to it more than techno. “Ah law le3ebt ya zahr!” If you meet me in person in Cairo, I can be a cab driver from Boulak El Dakrour, but I guess I am also a cab driver from Jalazon in Ramallah. Hahaha maybe I should just become a cab driver. How is the scene in Palestine growing? Are there parts of the scene there that you find to be better than in more established scenes? It is growing. It isn’t booming like it is in Beirut or Dubai, but it grows, gradually. We are a small country with not many people and the cities are cut from each other. We cannot get that many tourists from outside, and honestly, who would go partying in Palestine? We are under war or siege most of the time, so how could it really boom? The scene keeps growing from the side of artists emerging and that is brilliant, they get to express themselves in a very healthy way. For me as a DJ I love playing there because I can play for 30 people, or I can just leave the equipment and go dance with them. Life is beautiful because it’s cozier, it’s not official business. Do you think electronic music can be political or militant? If so, do you try to deliver any message through your music or lend it in any way to resistance? Electronic music can be that, and I hear some armies train their soldiers on electronic music. I don’t try to do anything personally. I am me, and I try to express me; my life as a whole is a political message and a story so I guess it all connects, but I don’t try to do it intentionally. Why did you decide to go change your name to SAMA’ as opposed to Skywalker? So then it would seem Skywalker had nothing to do with Star Wars. I’m sure there is a better story behind that. Where did that come from? Hahaha nobody likes this story. It is just that Sama' means “sky,” and my fondness for Johnny Walker and his logo, so that made people start calling me Skywalker in Lebanon. You have a publishing company called Awyav for independent Arab artists, right? Can you tell us a bit more about that? Yes, we handle the publishing of composers and writers as well as sub-license and help media content makers figure out what they need for the use of their content. Do you have any new music coming out? Yup, I’m currently working on an EP and an album. You probably know about the album from other interviews, but now I am also working on an EP to release first and postponing the album until spring. It is really more of a spring album anyways. 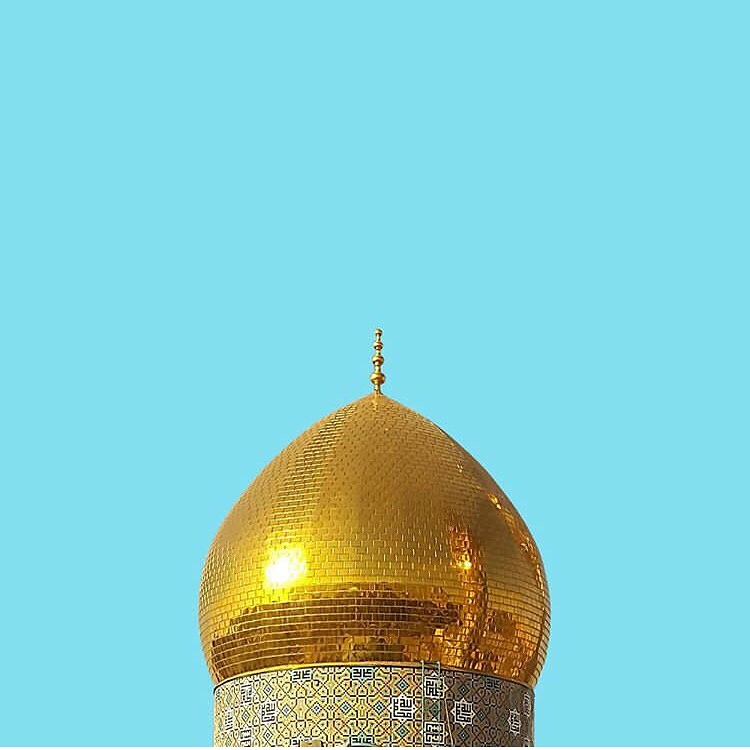 Learn more about SAMA’ on her website, and follow her on SoundCloud and Facebook. 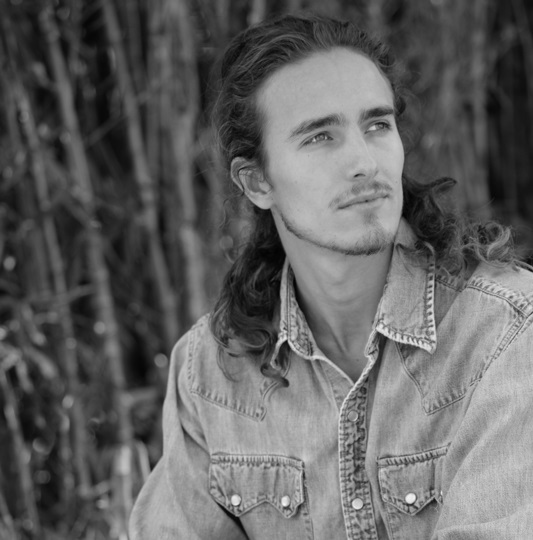 Main image by Roddy Bow.